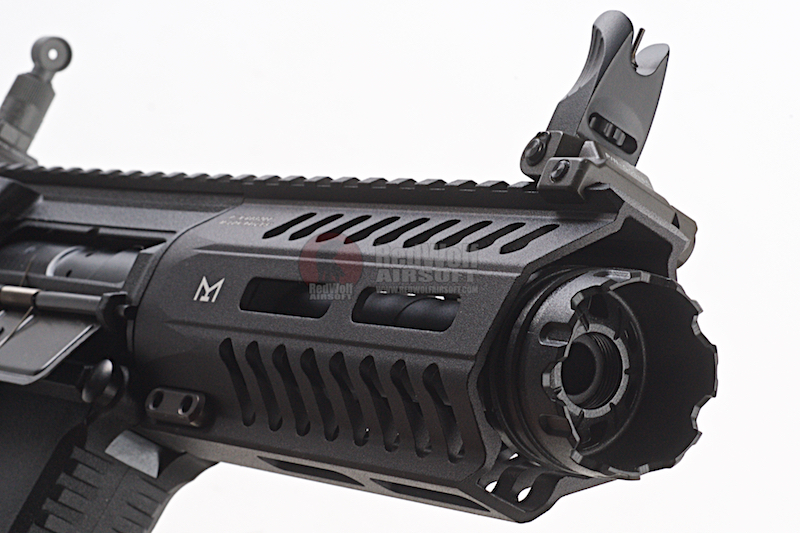 CQB M4 style rifle AEG. Based off of the G&G CM16 series. Fully automatic / semi-automatic select fire with 300 rd high capacity magazine. Hop-up - Adjustable by opening breach. 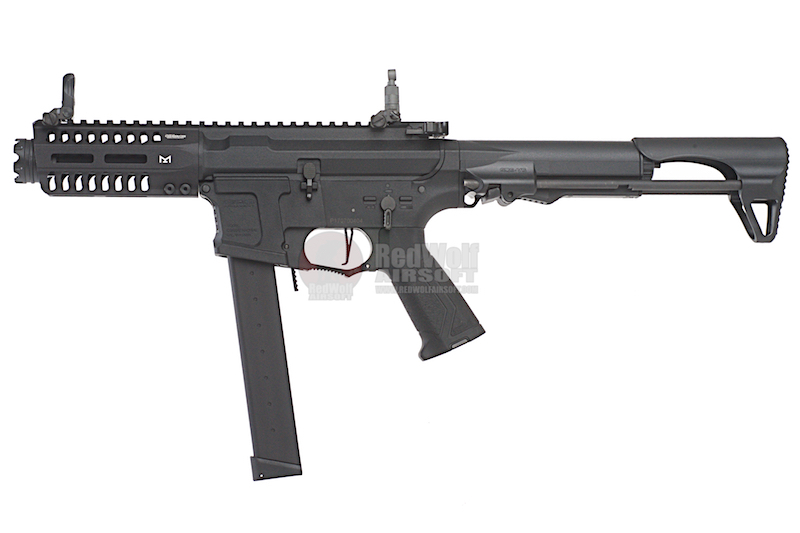 Magazine Compatibility - Ships with its own G&G magazine. 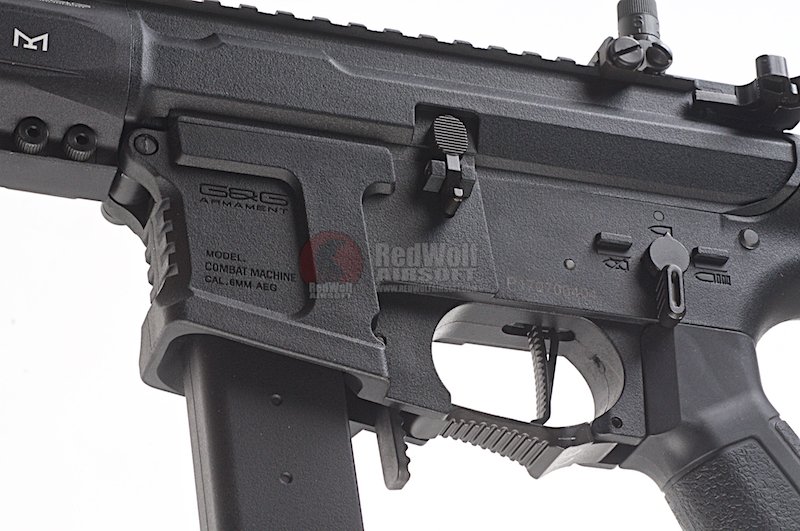 The G&G ARP9 is a unique and exciting entry into the CQB M4 style rifle AEG category. Extremely compact and lightweight, from afar the ARP9 resembles a traditional M4 type rifle, but when one gets closer, they realize the ARP9 is a completely different beast. 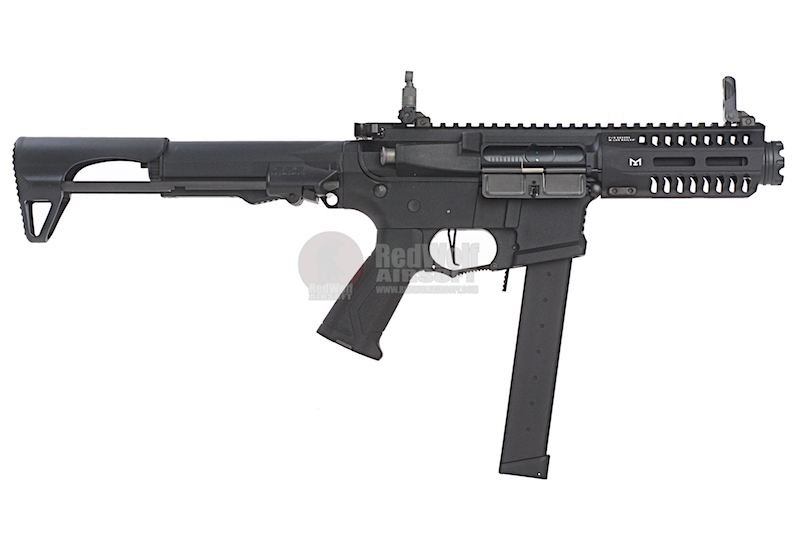 Based off of the G&G CM16 series of AEGs the ARP9 retains all of the features favored by players but in a unique 9mm style carbine. 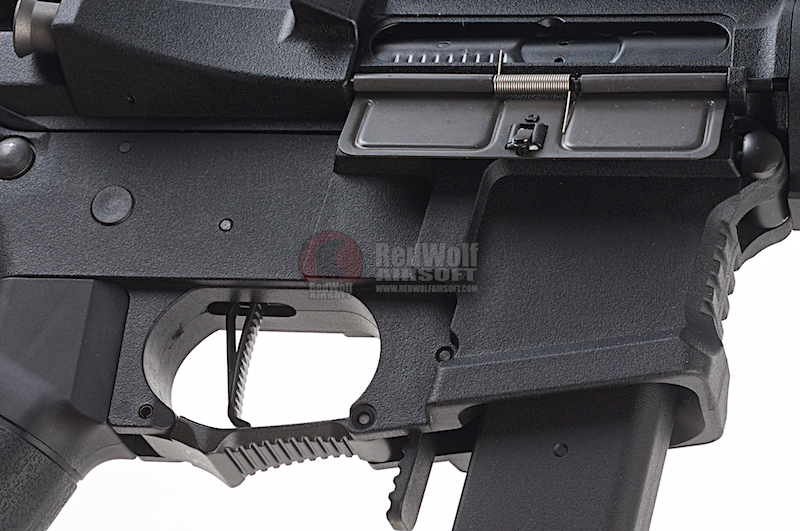 Using the traditionally solid G&G gearbox, paired with their inline MOSFET, the ARP9 puts out all of the same performance of a CM16 M4, but in a compact and unique package. In 1986, Guay Guay Trading Co. Ltd. (G&G ARMAMENT) was established in Taipei, Taiwan. 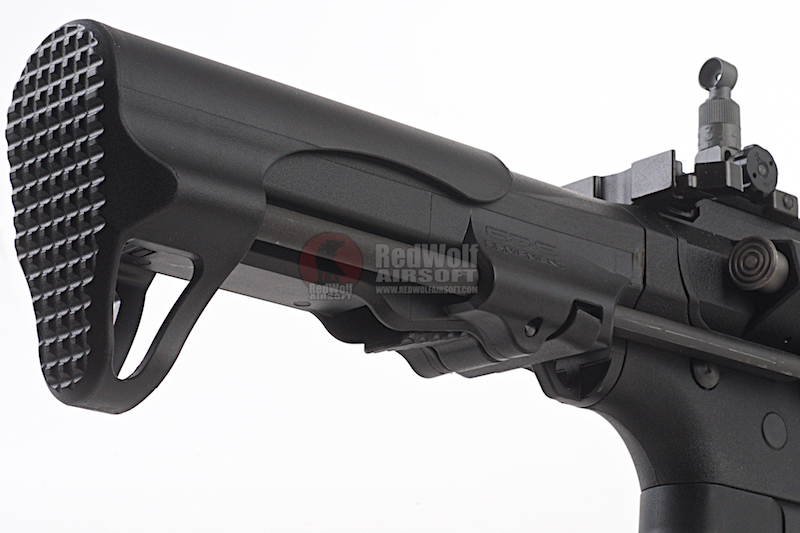 From the very beginning, G&G was a dealer of Airsoft guns, action figures, and military/law enforcement equipments for Airsoft and military enthusiasts. G&G always tries to find a new design, new materials, and new systems to make our products stronger and more competitive. They use The "CNC" shift operation to make parts, and make them more similar to the real ones. And we try to test all kind of materials in each part to ensure its quality. G&G is constantly researching new ways to innovate in designs and materials to ensure the best quality of our products. All G&G products are designed and built with computer assisted design tools such as Computer Numerical Control (CNC) turning operation to ensure tight precision and quality. x1 x1 G&G ARP9 AEG. 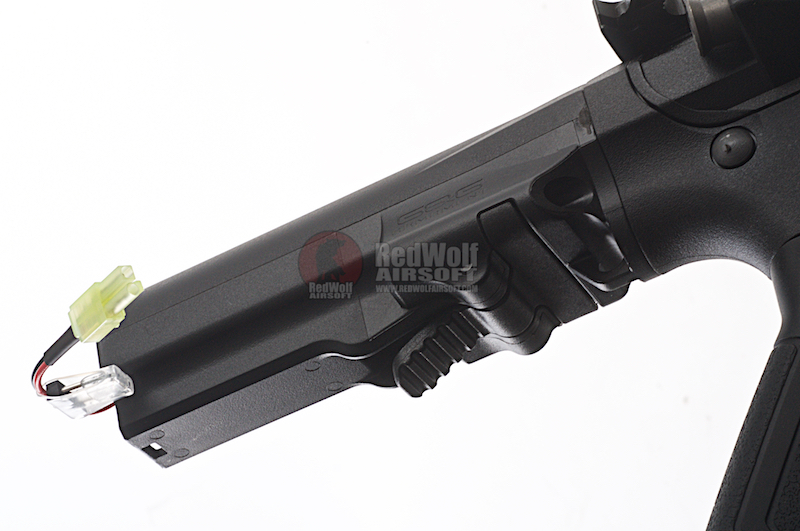 x1 x1 300 Rnd Magazine.